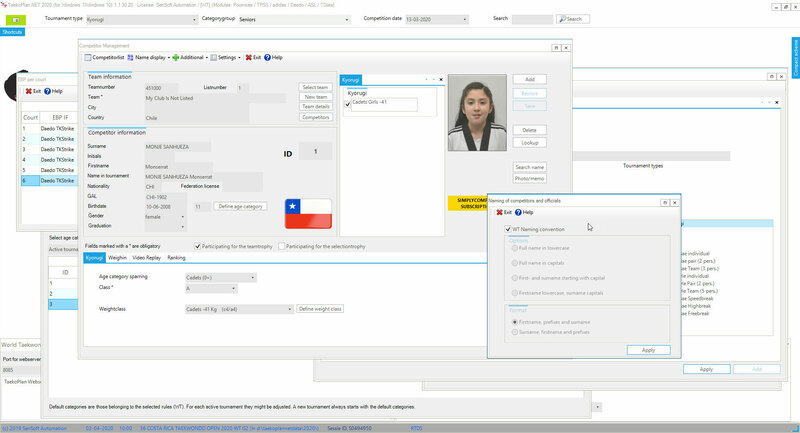 Software and add-ons - De website van taekoplan! 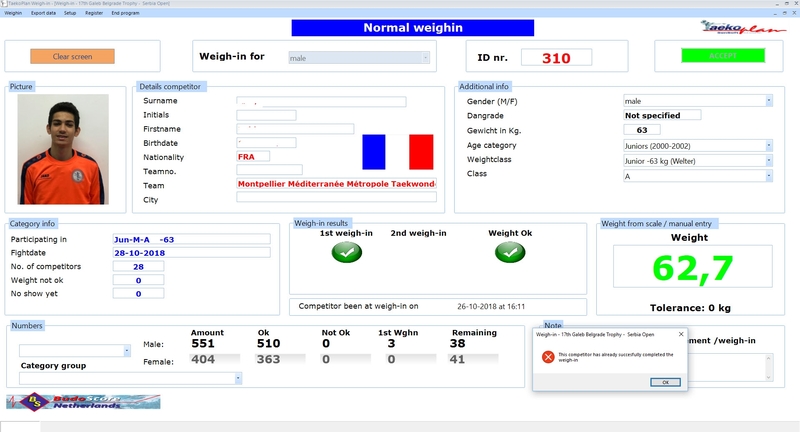 TaekoPlan is the tool for competition management. It has several add-ons to make it a full package to use for any Taekwondo tournament. 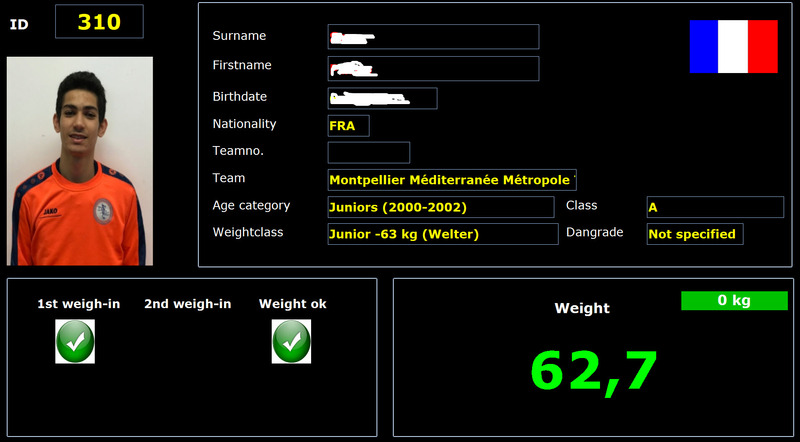 TaekoPlan supports both Kyorugi and Poomsae according to the official WT rules. The full PDF manual to support you using TaekoPlan. 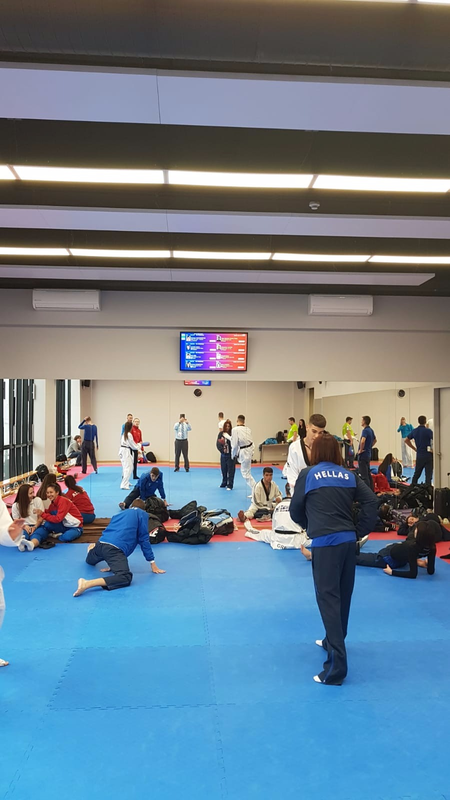 The Caller is an add-on for TaekoPlan to show the next upcoming 4 fights for each court at the inspection desk and final checkin. It can also be used for an announcer and to beam the info on a large screen (projector). Caller.NET is the latest update, completely rewritten, faster and more stable in the network. 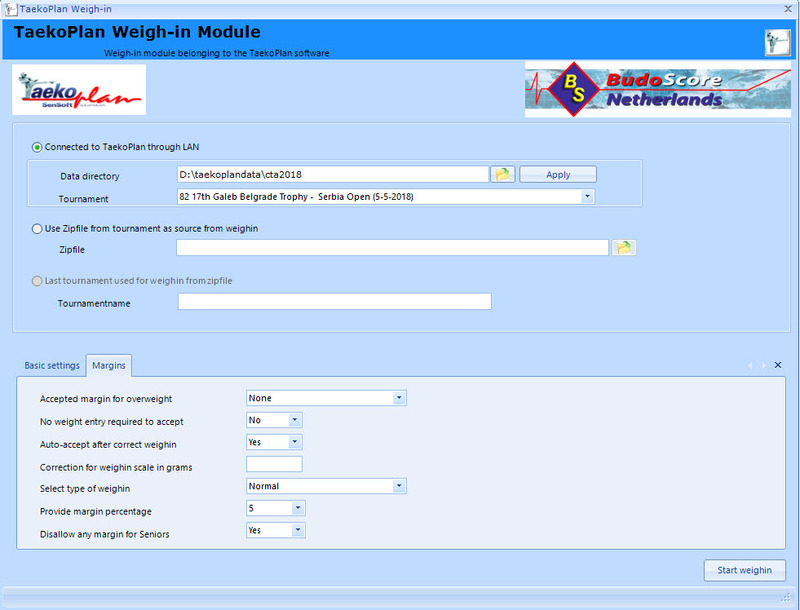 The weighin module connects to 4 brands/types of weighin scales. It can be connected to TaekoPlan to automate the weighin process. 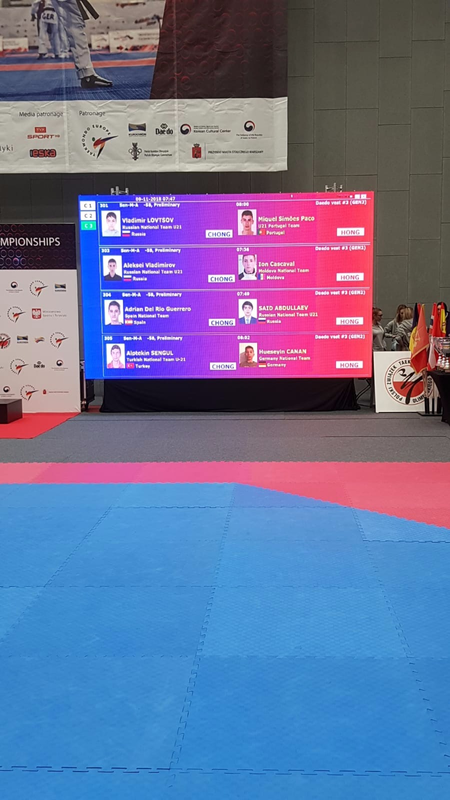 The poomsae beamer enables you to provide realtime information about the categories and the actual starting times during the day. 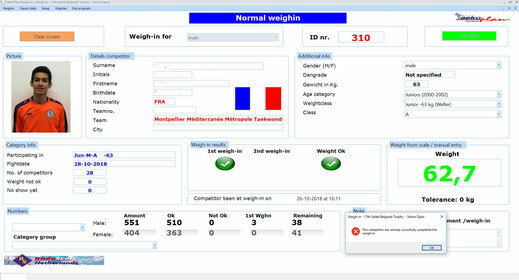 it shows the progress of the categories, the next competitor to start and the updated time table.